He was calling me a nazi a couple times. 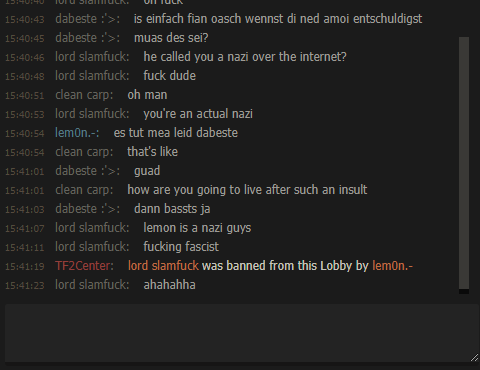 Then i banned him from the lobby and he started calling me nazi in the hubchat. Language with the potential to cause offense to other players, including but not limited to: general derogatory language, directed derogation, discrimination, sexual language, or general disrespect towards other players.